OZONE PARK, N.Y. – Purses for open-company races during the Belmont Park spring/summer meet will increase as the New York Racing Association looks to remain competitive with Churchill Downs, which last month announced major purse increases for its upcoming spring season. Purses for maiden special weight races at Belmont will increase from $75,000 to $80,000. Similar $5,000 purse increases will be in place for first- and second-level allowance races, whose purses will now be $82,000 and $85,000, respectively. A third-level allowance race will be worth $87,000, up $2,000 from last year. The maiden purses will be on par with Churchill Downs (post Derby week), while the allowance purses will be slightly less. NYRA published online its first condition book for the Belmont meet, which begins April 26. It has not yet put out a condition book for Aqueduct’s 12-day spring season, which begins April 5. New York-bred purses were not raised for the first condition book. 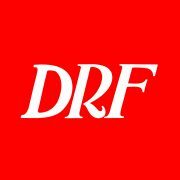 Once again this spring, NYRA will offer eight maiden races worth $100,000 apiece in the 2-year-old division – four for 2-year-olds and four for fillies – with the goal of producing starters for its Astoria and Tremont stakes on June 6 and 7, respectively. The first two of those races will take place at Aqueduct on April 17-18, with six more in May at Belmont. NYRA will continue its under-20 claiming challenge at the Belmont spring/summer meet. The contest is for horsemen whose stable size is 20 horses or fewer. Horsemen accrue points based on where their horses finish in claiming races. It is also expected that NYRA will renew its starter loyalty program for 2019-20. The program enables horses to earn a higher percentage of purse money based on the number of starts they make from April 5 to the end of March 2020. Those percentages range from 5 percent to 15 percent based on the number of starts made at a NYRA track during that period. The current program started last April and will end March 31.